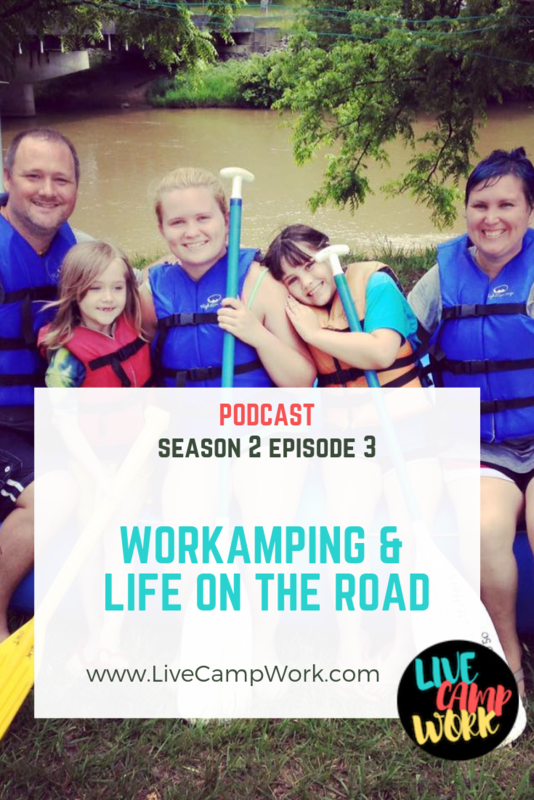 Season 2 Episode 3 of the LiveCampWork Podcast! A Family Perspective, Interview with Christi Mooney of the D20 Nomads. In this Episode, I caught up with a Workamping friend of mine, Christi Mooney- who travels Fulltime with her husband Michael and their 2 children! Currently working on their 2nd year at the beautiful oceanside RV Park, Christi provides some insight from a family perspective as well as her personal story of what led to her life of Fulltime RV travel! Check out this episode and make sure to sign up for my VIP List (in the sidebar —–> ) to get bonus content, like the virtual campfire Christi & I did, talking about our personal experiences working for the Amazon Camperforce Program!